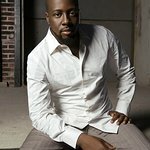 As the recovery efforts in Haiti continue, Wyclef Jean, co-founder of the Yéle Haiti Foundation, will be at JFK Airport tonight (April 22) at 6:10pm to welcome three young Haitian amputees on their trip to get urgently needed artificial limbs. 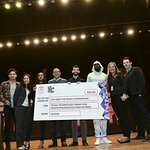 Yéle Haiti, working with the Global Medical Relief Fund (GMRF), provided eight round-trip tickets—which includes tickets for GMRF staff and the patients’ relatives—between Port-au-Prince and the GMRF’s headquarters in Staten Island, N.Y. The group will then travel to Philadelphia, where the three patients will be treated at Shriners Hospitals for Children, which will be providing the care for free. Margarette Pierre, 17, lost her arm to above her elbow in the Jan. 12 earthquake; Chantal Mori, also 17, lost her arm; and Farah Maurice, 8, lost her leg above her knee. They will all be traveling under the auspices of the U.S. State Department with “humanitarian parole” papers. Medical experts estimate that upwards of 200,000 Haitians will end up losing limbs; surgeons in-country are struggling to keep up with the enormous numbers of wounded. Haiti will soon have to cope with an abnormally high number of disabled citizens who will need artificial limbs, and the country’s clinics are overwhelmed. Because of the risk of fatal infections, amputation is crucial in saving lives. Prosthetic devices must be fitted as soon as possible after healing, then readjusted in the following weeks. Due to unforeseen circumstances, the three girls were not able to board the flight as originally planned and did not arrive last evening. Yéle Haiti and the Global Medical Relief Fund are working on getting them on the next available flight.